*Please Note: This is NOT the page to view the full videos. Please click on the Member’s Area link in the menu if you have purchased a Silver or Gold Membership to view full videos. If you have purchased a video or workshop, login through the account area and follow the instructions for accessing your videos. Subscribe at the bottom of this page (or in the side bar) and get your coupon to try a video on me! Don’t see what you need? Request one and I’ll add it to my list of videos to make. Need a video tutorial done ASAP? Include what you need and email me. We can discuss getting it done for you. Click below to buy the ‘Getting Started Workshop’. To try a single video click the ‘Buy Now’ button below the video you want to purchase and use your one-time-use coupon code. How to purchase and register your domain at 1and1.com. How to upload WordPress to your domain. Click below to buy the ‘WordPress Workshop’. To buy a single video click the ‘Buy Now’ button below the video you want to purchase. How to log into the backend (Dashboard) of your WordPress.org account. Familiarize yourself with the WordPress dashboard with this quick tour. How to create a post in WordPress using the classic posting. How to add pictures (JPEG, PNG), PDF’s and graphics to your media file. 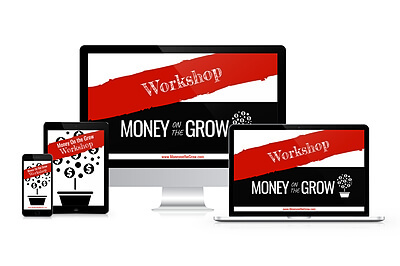 Click below to buy the ‘Blog Design Workshop’. To buy a single video click the ‘Buy Now’ button below the video you want to purchase. Discover the easiest way to brand your blog for a professional look. Use the Canva templates to create a new logo for your blog. How to upload and set your logo in WordPress (customizing your header). How to follow your theme tutorial to create a beautiful and professional looking front page for your blog. How to modify the background images of your font page. Creating pages using Elementor preset templates. Click below to buy the ‘Plugins Workshop’. To buy a single video click the ‘Buy Now’ button below the video you want to purchase. How to upload and activate new plugins. How to upload and use Pretty Links & WHY it’s a great plugin to use. Discover how to upload and configure a ‘Coming Soon’ page for your blog. How to upload and modify the plugin for NFTC compliance. How to upload and configure this social share plugin. Learn what Elementor is and how it can help you create a beautiful, professional blog.